Your body is kind of like a house. You bring things into your body by eating, drinking, and breathing. But just like the things we bring home to real houses, we don’t need every part of what we take in. So there are leftovers, or garbage. And if you let garbage sit around in your house or your body for too long, it gets gross and can make you sick. Your body takes out the garbage by peeing and pooping. 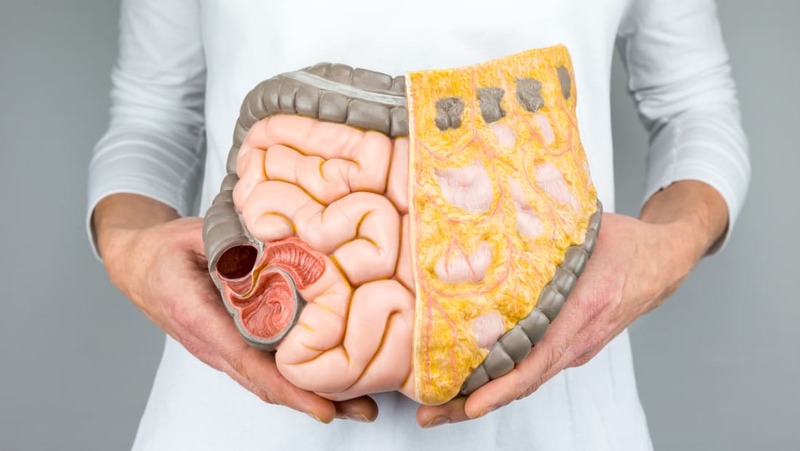 These two things are part of your body’s excretory system (ECKS-krih-tore-eee SISS-tem), which is just a fancy way of saying “trash removal.” If your body is healthy, when you look in the toilet you should see brown poop and yellow pee. Clear, light yellow pee is a sign that your excretory system and the rest of your body are working right. If your pee, or urine (YER-inn), is not see-through, that might mean you are sick. Dark yellow urine usually means that you aren’t drinking enough water. On the other hand, really pale or colorless pee can mean you might be drinking too much water! Your blood is filtered through two small organs called kidneys (KID-knees). Remember the garbage we talked about earlier? The chemicals called toxins (TOCK-sins) are like garbage in your blood. Your kidneys act like a net, catching the toxins and other leftovers and turning them into pee. One part of your blood is called hemoglobin (HEE-moh-gloh-bin). This is what makes your blood red. Hemoglobin goes through a lot of changes as it passes through your body. When it reaches your kidneys, it turns yellow thanks to a chemical called urobilin (yer-ah-BY-lin). Urobilin is kind of like food coloring. The more water you add, the lighter it will be. That's why, if you see dark yellow pee in the toilet, it's time to ask your mom or dad for a cup of water. 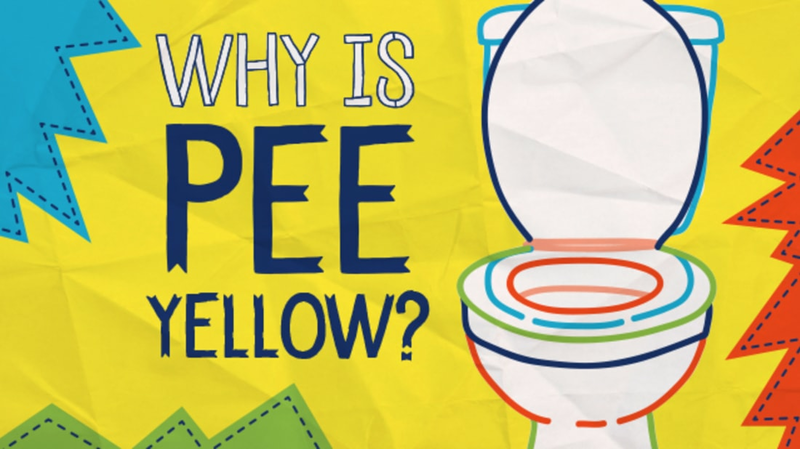 To learn more about pee, check out this article from Kids Health.